Bank of Luxemburg Executive Vice President/Chief Lending Officer Tim Treml was promoted to president at the start of 2017. John Slatky, who served as the bank’s executive vice president/CEO for five years and president/CEO for 23 years, will remain on staff to ease the transition until his planned retirement this June. Treml has been working closely with Slatky over the course of two years to focus on the most important aspects of his new position. “Responsibilities have been transferred to me gradually, so I am confident in myself and the leadership team will effectively continue to manage the institution moving forward,” Treml stated. Treml’s promotion comes as a result of his leadership and long-term commitment to the bank. Treml has been employed at Bank of Luxemburg for 22 years this June, including seven as chief lending officer, before being promoted to executive vice president in 2015. 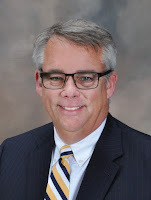 In addition, Treml completed the Graduate School of Banking in 2001 and the Leadership Development Program for Community Bankers in 2015, a one-year program offered through the Center for Professional and Executive Development from the Wisconsin School of Business at University of Wisconsin—Madison. Treml also brings years of dedicated volunteer service and community involvement to his leadership role. He served as president on the Luxemburg Chamber of Commerce and was named the chamber’s “Man of the Year” in 2013. He served as treasurer to Kewaunee County Economic Development Corporation for three years, has co-chaired the EastShore Industries Annual Golf Outing for 13 years, has served as treasurer to Ducks Unlimited for over 16 years and is a former rescue squad member. Former Bank of Luxemburg President John Slatky is confident in the bank’s future under Treml’s leadership. “The customers in our communities will be well served for many years to come,” Slatky assured. “Our customers expect nothing less than exemplary service and sound leadership from their banker and Tim continues that tradition.” Though Slatky plans to retire this summer, he will remain on the bank’s board of directors. As Treml transitions to president, Darren Voigt has assumed the responsibilities of chief lending officer. Voigt has been with Bank of Luxemburg since 2014 and has over 25 years of experience including consumer and mortgage lending, as well as business and commercial banking and treasury management. Luxemburg Bancshares, Inc. and Bank of Luxemburg have banking offices in Luxemburg, Green Bay, Dyckesville, Casco, Algoma, Kewaunee and Sturgeon Bay. For more information about Luxemburg Bancshares, Inc., visit www.bankofluxemburg.com.